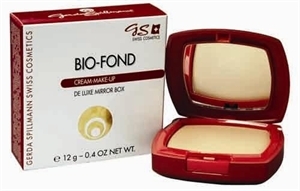 ANTI-AGING MAKEUP FORMULA THAT MOISTURIZES WHILE YOU WEAR IT. LASTS ALL DAY AND WILL NOT DISAPPEAR. AIDS IN HEALING PROBLEM SKIN. GIVES A VELVETY, SMOOTH, FEEL, FREE OF FLAKING. NATURAL LOOKING-LIGHT TO FULL COVERAGE, LONG LASTING-UP TO 16 HOURS AND IS HIGH DEFINITION READY. THIS IS A SKIN CARE PRODUCT AND NOT A MAKEUP. THIS IS ALSO A MINERAL MAKEUP. THE MINERALS COME FROM CLAY IN THE RED SEA. ALLOWS SKIN TO BREATHE AND IS NON-COMEDOGINIC. THIS DOES NOT CLOG PORES. NATURALLY PROTECTS FROM UVA AND UVB RAYS WITH TITANIUM DIOXIDE AND IRON OXIDE AND IS A PHYSICAL BLOCK SUN PROTECTION. WORN BY THE MOST FAMOUS FACES IN THE WORLD AND USED BY HOLLYWOOD'S HOTTEST STARS AND THEIR MAKEUP ARTISTS.